Are extroverts really the only charismatic ones in the office?? Absolutely not! In my 10 years of leading the Charisma Clinic™, I’ve helped countless introverts tap into their own unique style of charisma. Charisma does not mean a person is constantly “on.” It’s a quality that looks different on everyone who wears it. Charisma isn’t being the loudest, most outgoing person in a room. Charisma is about drawing others in with certain magnetism. Many famous introverts have exhibited that ability: Ghandi, Princess Diana, Johnny Carson. It requires tapping into underutilized parts of yourself for the purpose of creating powerful connections. But introverts need the ability to retreat in order to recharge and gain greater energy from solitude. How can the two be reconciled? I am, by nature, an introvert. However, I can exhibit extroverted qualities iwhen I need to without dishonoring who I am innately. The introverts I work with don’t have to put on an act in order to be charismatic. I help them tap into underutilized parts of themselves that are naturally dynamic and engaging; qualities they are likely using in other scenarios. For example, one project manager was very quiet and soft spoken. However, his demeanor changed dramatically when he spoke of spending time with his grandson. He lit up and became significantly more approachable. The best analogy I have found is that of a computer. We keep the programs and files we use most frequently on our home screens – our comfort zone. We may use other programs frequently – we just need to move those programs to our home screen for easier access. 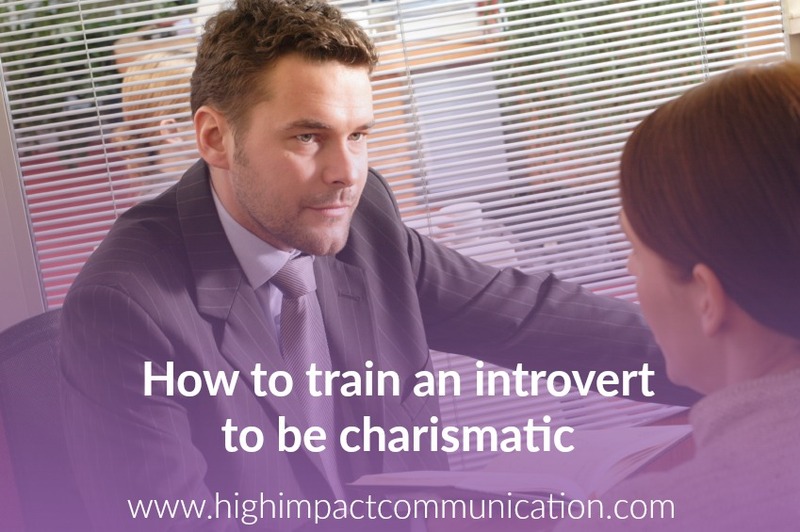 By having easier access to this tool, introverts can practice expanded ways of being in their every day communication so that, by the time they have a critical presentation, that comfortable and charismatic demeanor is easier to boot up.